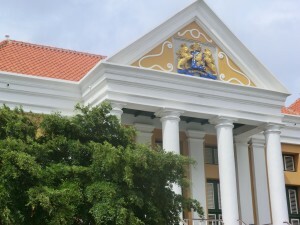 WILLEMSTAD - Orlando Balentien will probably use his right to remain silent during the appeal of his case. Yesterday the court asked what his line of defense would be. The self-proclaimed pastor was previously sentenced to 9 years in prison because of the abuse of three girls and four women. He told the judges that he is afraid of a higher sentencing when he starts talking.